Etsy has knitted up an indie facsimile of an initial public offering. The U.S. online marketplace for all things handmade has crafted a deal with lots of homespun bells and whistles befitting its Brooklyn roots. But eBay’s artsy cousin’s artisanal accounting, staggered board, poison pill provisions and wide discretion to issue super-voting stock is pure Silicon Valley bad governance. In his prospectus letter, Chief Executive Chad Dickerson envisions the “Etsy Economy,” a type of commerce that is people-centered and “more joyful.” To that end, the site intends to put $300,000 of the $100 million it hopes to raise into a non-profit that supports women entrepreneurs (86 percent of the site’s vendors are female). It’s also setting aside five percent of the shares on offer for members of the Etsy community. But when it comes to governance and other things that should matter to investors, it is not all hand-stitched rainbows and appliqué butterflies. For starters, it is adopting practices that are increasingly disappearing from blue-chip corporate by-laws, including staggered elections for directors and anti-takeover, or poison pill, provisions. Finally, Etsy’s accounting can be best described as artisanal. Its preferred measure of EBITDA omits the costs of acquisitions, foreign exchange and stock-based compensation. Not surprisingly, using this bespoke measure Etsy made $23 million last year. By standard accounting principles it had a net loss of $15 million. Sales last year, however, grew at a 56 percent clip from 2013. That may be enough to convince prospective investors to look past Etsy’s retrograde governance and creative bookkeeping to nab a slice of brand Brooklyn. 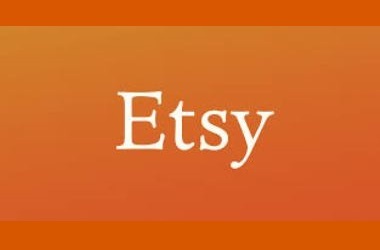 Etsy, the U.S. online craft and vintage-goods marketplace, filed for an initial public offering of common stock on March 4. The company plans to raise $100 million. Venture capital firms Accel Partners, Union Square Ventures and Index Ventures own a combined 55 percent of the company.